After six years of a foreign policy strategy that observers have assessed as questionable at best, Americans and remaining foreign allies finally deserve an honest explanation of President Obama’s true aims across the Middle East. One person who should explain why the Obama Administration continually asserts the United States is making progress abroad despite so many appalling setbacks is senior aide Valerie Jarrett, whose influence shaping key policies is suggested in second-hand reports, but not yet adequately understood. With Iran rising, and regimes falling throughout the region, now is the time to subject our President’s singular Senior Advisor to rigorous Congressional oversight, under oath, beginning with an appearance before Congress’s Select Committee on Benghazi. Numerous accounts by high level U.S. government officials suggest that traditional reporting lines inside the Executive Branch are essentially irrelevant. Using Valerie Jarrett and other reliable associates, President Obama imposes his will everywhere that he can, outside effective scrutiny of political opponents, investigative journalists, and the American public. Congressman Trey Gowdy, as head of Select Committee investigating the 2012 attack on the American embassy in Benghazi, Libya, has the assignment and the resources he needs to retrieve answers and hold accountable those responsible for the disastrous events that occurred starting September 11, 2012. To do his job properly, he needs to widen his focus beyond Libya, expose how the Obama White House actually makes its decisions, and determine which foreign powers are prime beneficiaries of Executive Branch actions. It is not enough for the Select Committee simply to identify which officials may have slowed, or even stopped, rescue efforts for beleaguered U.S. government employees and/or contractors mired inside Libya, almost three years ago. Instead, Americans need to understand how deeply involved in Federal government are organizations such as the Muslim Brotherhood, and who has ultimate responsibility for vetting key government appointees and private contractors. In addition, we deserve to know how deeply ties run between key Administration officials and the government of Iran, which seems to be the only clear beneficiary of Obama foreign policies. Furthermore, the American public should learn how widespread the practice has become wherein foreign interests purchase influence over government officials, theoretically independent scholars, and media watchdogs. So far, Valerie Jarrett’s name does not figure on the published list of witnesses scheduled to appear before the Select Committee on Benghazi. Nor does Huma Abedin’s, a longtime aide to then-Secretary of State Hillary Clinton. Both of these individuals likely could help unravel the confusion concerning how America’s relations with Libya and with Egypt disintegrated so profoundly, opening up opportunities for Vladimir Putin to extend Russia’s influence in nations of key strategic significance. Looking back before September 11, 2012, Congressman Gowdy should uncover who, other than Hillary Clinton (perhaps Ms. Jarrett? ), must have approved the deeply troubling decision to let Huma Abedin simultaneously serve multiple masters– including the U.S. taxpayer, Hillary Clinton personally, Teneo Corporation and the Clinton Foundation. Given what happened after Mohamed Morsi took power by June 30, 2012, and given the continuing defiant support of the Obama Administration for the Muslim Brotherhood inside Egypt and the United States, the American public has every right to learn how someone with such suspect foreign connections became so involved in atypical ways influencing sensitive government initiatives. Hillary Clinton apparently is eager to give her side of the story–though her attitude towards telling the truth is certainly flexible, as any fair-minded re-examination of her Bosnian landing under sniper fire reveals in retrospect. Congressman Gowdy must summon the courage to examine closely the flows of official and intermediary communications and of money between and among interested parties in Libya and Egypt, not just in 2012, but from January 20, 2009 forward. Substantial U.S. government funds evidently disappeared under Hillary Clinton’s watch over the State Department–during the same period large donations flowed into Clinton Foundation while grants flowed to numerous recipients. Rather than shrugging off the confusing array of information, Congressman Gowdy needs to dive in and ferret out a comprehensible timeline that explains the motives and potential benefits derived by key interested parties. 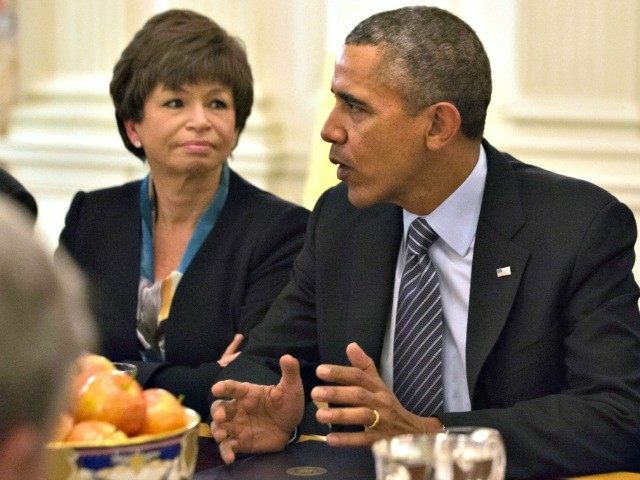 When it comes to getting Obama Administration officials such as Valerie Jarrett to take Congressional oversight seriously, the record since January 2009 is certainly not encouraging–even now, on a potentially incendiary matter closer to home involving possible targeting of political opponents using the Internal Revenue Service, the Obama White House refuses to supply essential documents. So, teasing out the real timeline with regard to Libya, Egypt, and the Muslim Brotherhood will likely require aggressive tactics. Daunting as challenges seem across the Middle East, additional dangers threaten America in the potential splintering of Europe, the unrepentant rise of Putin’s Russia, and from China. As Congressman Gowdy continues his important work, perhaps the governments of Canada, the United Kingdom, France, Germany, Egypt, and Israel can use their intelligence resources to help the American public understand exactly what the Obama Administration attempts as it continues redrawing the constellation of western interests across the Middle East. Time is of the essence. Great nations with far more experienced leaders have floundered following misadventures outside their own borders. In the kind of Congressional oversight that has been sorely lacking until now, perhaps the United States can again find our best feet, and move these forward.